Also the model here is almost exactly how I pictured Theron as I wrote him! Maybe Theron should be a little bit older, a tiny bit heavier, but this is really close. Theron likes to sneak around, climb trees, and cook gourmet meals. He is old, and intelligent, and ruthless in many ways, but he is also vulnerable in that he has never before been in love. So despite all his age and experience, he is often unsure of himself when it comes to relationships. 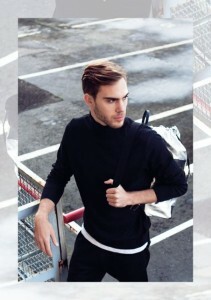 Though this model is extremely handsome, I think he could blend in with normal people… maybe? What do you think? How important is it for you to have a visual of the characters you are reading? Do you notice or care when the cover does not match the characters as they are described in the text? Or do you prefer to imagine characters your own way? Happy release day to you. 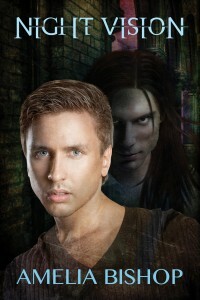 I must admit i haven´t read a lot of paranormal books but this one looks intriguing. I always kind of use the cover models to picture when I’m reading, if the book has them. But usually, it is the personality I prefer not the physical so I’m not usually too concerned with character pictures as a reader. But as a writer, they are more important to me. I missed this first posting for some odd reason. The characters sound so interesting. I like the unique owl-like qualities aspect. It’s very important to me to visualize the characters. I so appreciate the photos which are really good ones. It does bother me if the cover doesn’t match the characters. So how, it seems a little sloppy that the publisher etc didn’t seem to care to do a correct cover. I agree, when a cover does not match characters it seems sloppy. I was so happy with dreamspinner, they really worked hard to match my guys! That also means that if the cover model doesn’t look how the author described them I’m going to be really weirded out and just reject it in my mind. I do enjoy viewing how an author envisages their characters, maybe during a chat like this or hopefully on the cover. Although it can be confusing if the same cover models are used over various publications. Your Theron on this post reminds me of the Hawk Brothers, characters in a series who had birds such as owls as their familiars and who they can portal earth magic through. The Hawk Brothers sound cool, I will have to look that up!